Romi asks: They said on a documentary on Netflix I watched that the battle of Gettysburgh started as a fight over shoes. Is this true? 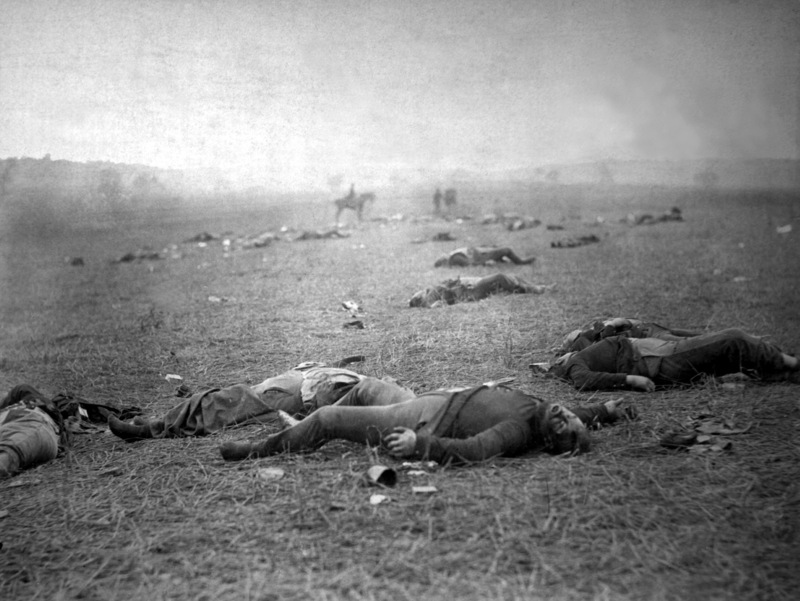 Marking the Confederacy’s last stab at a major offensive in a northern state, the three brutal days of fighting in July of 1863 around the town of Gettysburg, Pennsylvania mark the bloodiest battle of the American Civil War. Situated at the junction of 10 roads at a time when most places were served by one or two, and only about 30 miles from two key Union supply routes, it shouldn’t be surprising that Union and Confederate troops ran into each other there. What is surprising, however, is that many historians believe the battle played out the way it did because of a strong Confederate desire for new shoes. Leading up to the battle, on June 22, 1863, Confederate Major General Jubal Early had crossed the Potomac River at Shepherdstown, WV. 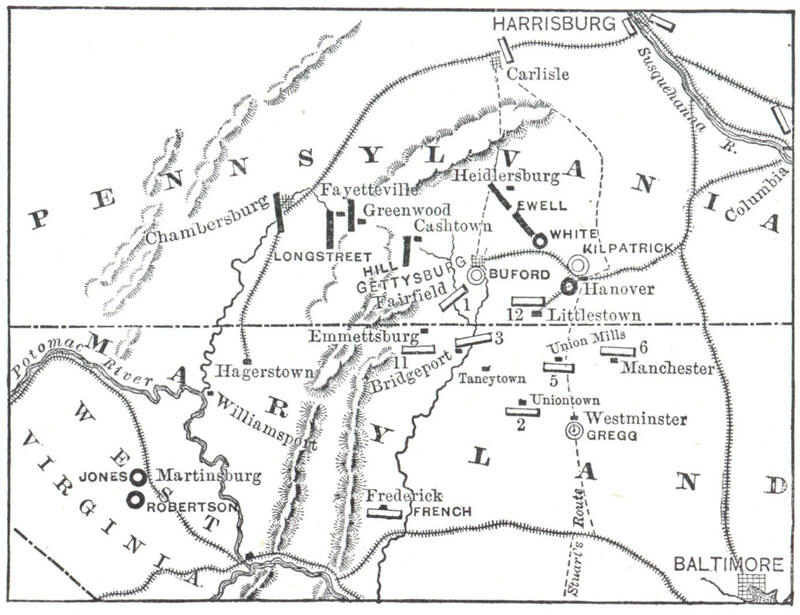 Moving on to Chambersburg, PA, on June 25, Early received instructions from Lieutenant General Richard Ewell to move east through Gettysburg to York, PA. There, he was to cut-off a major rail-line between Harrisburg and Baltimore, and then continue east to Wrightsville, to destroy a significant bridge over the Susquehanna River that connected the region to Philadelphia. Early travelled with 15 empty supply wagons with the hope of re-fitting his division, and on June 26, 1863, his command reached Gettysburg where small numbers of Union troops were encamped. Sending a brigade, under the command of Brigadier General John B. Gordon, and a battalion of cavalry led by Colonel E.V. White to root out the enemy (which they did), Early himself entered the town on the same day. Two days later, in the town of York, Early (still seeking supplies) was able to requisition (demand) from the town between 1,200 and 1,500 pairs of shoes, as well as socks, hats, rations, and more than $28,000 dollars. Early and his troops also successfully took control of the railroad at York, burned the Columbia Bridge at Wrightsville, and proceeded to destroy other depots and bridges in the area, although his continued pursuit for additional supplies bore little fruit. On June 29, 1863, Early was ordered by General Robert E. Lee, along with the rest of the Army of Northern Virginia (about 75,000 troops), to join forces around Gettysburg. Major General Henry Heth led one of those divisions, and like all of Lee’s troops, was under specific orders to wait for the arrival of the full force before engaging in any fighting. Heth was among the first to arrive at Gettysburg on June 30, 1863. Perhaps because they were sorely in need of them, a rumor had been circulating among Lee’s forces that there was a stockpile of shoes in the town, and shortly after arriving, Heth, in fact, ordered Brigadier General Johnston Pettigrew to “search the town for army supplies (shoes specifically), and return the same day.” Pettigrew ran into Union troops, and, despite Lee’s orders, Heth ended up starting a small skirmish. The next day, July 1, 1863, Heth’s division again met Union troops, including cavalry forces led by Union Brigadier General John Buford and later reinforcements under the command of Union Major General John F. Reynolds. The fighting escalated into a large battle, with Heth’s division suffering heavy casualties (and Reynolds being killed). Rather than risk losing Heth’s division, Lee was forced to send in support, which prevented him from carrying out his plan of uniting the entire army in a single large force before meeting the enemy. Subsequently, on that first day, fighting occurred at Seminary Ridge, Oak Ridge, Oak Hill, McPherson’s Ridge and Barlow’s Knoll. Early in the morning on July 2, 1863, Union Major General George Meade arrived with the remaining Union forces (more than 90,000 total), and things really got hairy. That day saw fighting at the Peach Orchard, the Wheatfield, Devil’s Den, Trostle’s Farm, Culp’s Hill, Cemetery Hill and Little Round Top. I find it amusing that Pickett’s advance was referred to as a “charge.” Depending on where you were on the Confederate line, it was at least a mile to get to the copse of trees. This “charge” was on an open, slopey field with angry Yanks firing everything they had into the Confederates. In actuality, the “charge” took over an hour for the Rebels to reach the Yankee line. I have walked that ground. It may be a mile but did not seem that far to me even on a hot, humid, day. Because it is so rolling you are not exposed and out of the line of sight for direct fire weapons a good portion of the distance. I imagine at that last rolling hill when both sides could easily see each other, it was indeed one heck of a charge considering Pickett’s troops actually made it to the Union lines.